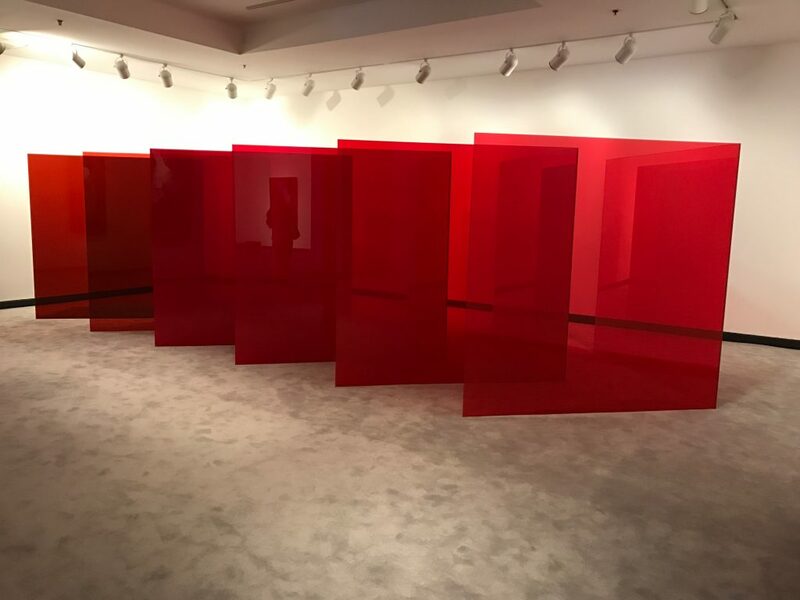 The Frederick R. Weisman Museum of Art at Pepperdine premiered its latest exhibit, “Larry Bell: Pacific Red,” featuring works by contemporary artist, Larry Bell, on Jan. 21. Entering the museum and turning right, passing the museum’s front desk, is an introductory text panel on Larry Bell on the left-hand side. The panel gives a brief biography of Bell’s life and history as an artist. 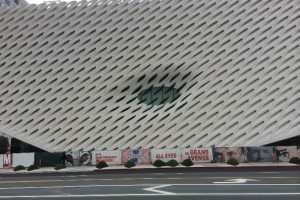 It explains that Bell was born in Chicago in 1939 but later moved to Los Angeles, where he enrolled at the Chouinard Art Institute in 1957. He later became a key figure in founding the the California Light and Space movement in the 1960s — a time when artists turned using traditional paint to using new non-art materials like resin, acrylic and fiberglass. 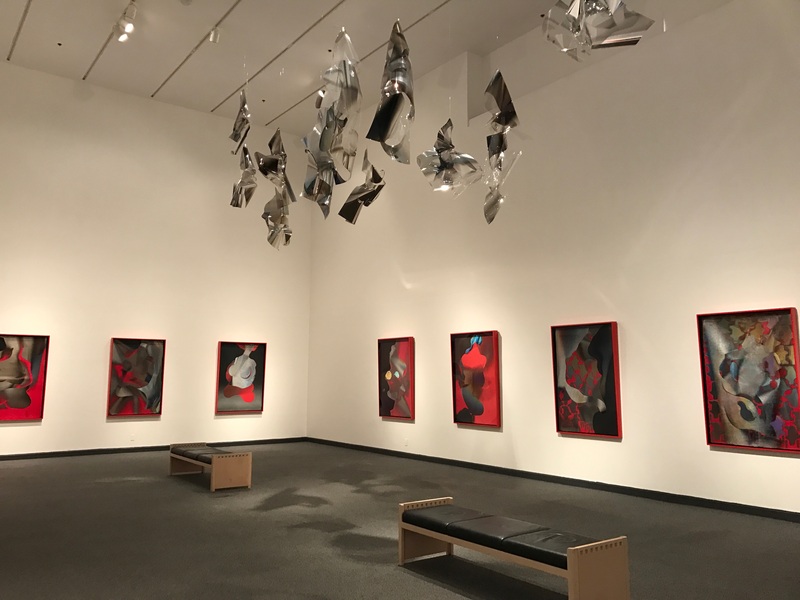 Over the course of his 50-year career, much of Bell’s work has focused on exploring light and has been featured at multiple museums and public spaces in the U.S. and abroad. The laminated glass sculpture is comprised of six chevrons that vary from light to dark red. When you walk within and aound it all, light is bounced around on the surfaces, creating different optical effects. Larry Bell discussed in an interview how “Pacific Red II” explores the color red. “Church Studies” is a group of two-dimensional collages that line the walls of the room. All of them utilize red Hiromi paper, according to the accompanying text panel. In discussing the works from this group, Bell further described how the color red is a particularly important aspect of the exhibit. 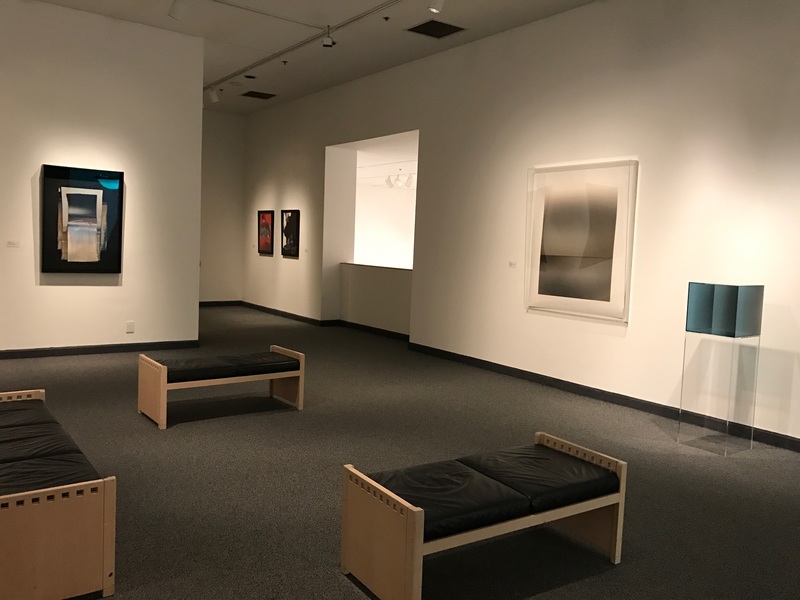 The upstairs portion of the museum’s exhibit houses a historical survey of Bell’s art from the late 1950s through the 2000s. 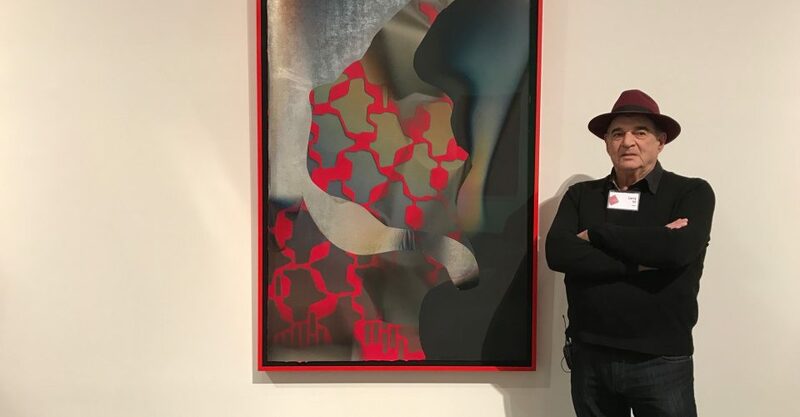 This section includes three-dimensional works like “Ghost Box,” a box made of glass, mirror and acrylic, as well as several two-dimensional works. 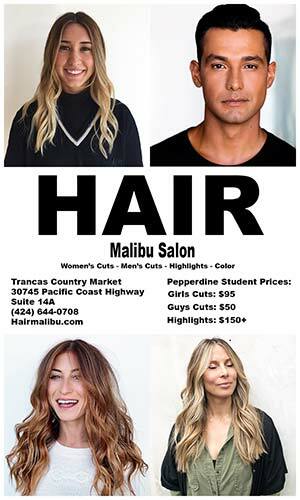 Bell’s art is featured in a numerous amount of places, and he values every chance he has to share it. “I appreciate just the opportunity to show it wherever I can,” Bell said. The exhibit remains on view at the Weisman Museum now through April 2. The museum is open Tuesday through Sunday, 11 a.m. to 5 p.m. and is free admission.